Ground Zero Bali Monument was dedicated to commemorating the victims of the Bali bombing tragedy 2002. This monument is located on Legian Street, Kuta, Bali. This area is the most crowded area visited by foreign tourists. If you want to go to Kuta beach, you will definitely pass this road. 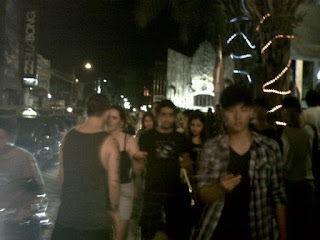 This road is so famous among tourists as one of nightlife place in Bali. Many cafes, shops and dining restaurants are located in this area. Most are intended for foreign tourists. The original name of the Bali Bombing Monument is "Monument of the Five Continents" which means the Five Continents Monument. People also prefer to call it "Ground Zero".